Repair + smooth hair, can make your hair more healthy and smooth. Softer, Moisture is locked within the cuticles ,healthier hair with less static. Help blood circulation and reduce hair loss. allowing you to quickly dry your hair in a more comfortable environment. AC motor can make the current more stable to prevent the voltage is too low damage to the motor. Two speed settings and three temperatures cater to a multitude of hair types. Meaning whether thick or fine, textured or straight, your strands can be expertly style. Releases cool air to set the style. 1.Soft touch Finish provides comfortable grip. 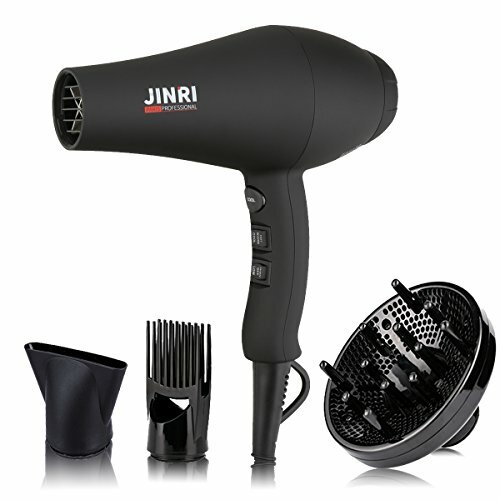 ✔Professional hair dryer with long-life AC motor, reducing drying time and noise. ✔Negative ion and Far Infared function, which makes hair beautiful with less damdage. ✔2 speed (HIGH/LOW) and 3 heat (HOT/COOL/WARM) settings for complete drying and styling with flexibility. ✔Direct ION Technology produces negative ions to help condition and soften hair while reducing frizz,add shine,providing silky smooth manageable hair gorgeous results. If you have any questions about this product by Xlinder, contact us by completing and submitting the form below. If you are looking for a specif part number, please include it with your message.